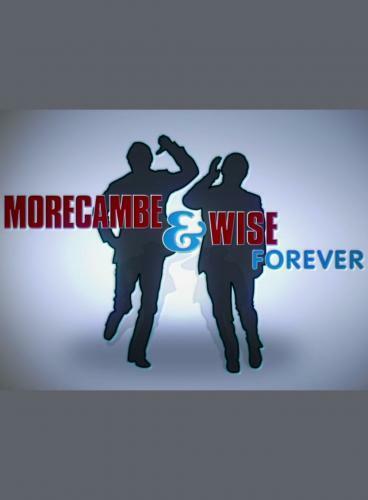 When will be Morecambe and Wise Forever next episode air date? Is Morecambe and Wise Forever renewed or cancelled? Where to countdown Morecambe and Wise Forever air dates? Is Morecambe and Wise Forever worth watching? Documentary series celebrating the life and work of the biggest and best loved double act Britain has ever known. 75 years since they first faced an audience, these programmes tell the story of Eric and Ernie through classic footage, revealing home movies and previously unseen photographs. In part one, Eric's children Gary and Gail Morecambe take a nostalgic tour of their father's birth place - visiting the house where he grew up for the first time. Eric's wife Joan tells the story of their meeting and marriage and former child star Mary Naylor recalls seeing a teenage Eric and Ernie perform on stage together. Film star Suzanne Lloyd remembers her time with Eric and Ernie working on their movie That Riviera Touch and takes a look at photos she has never seen before of them on set in France. In part two, Anita Harris - one of their guest stars from the TV series - looks back at some rare behind-the-scenes footage of herself in rehearsal. Eric's son Gary makes an emotional trip back to the family villa in Portugal where many classic sketches were created. Eric's other son Steven recalls spending happy times with his father fishing on the River Test. Morecambe and Wise Forever next episode air date provides TVMaze for you. EpisoDate.com is your TV show guide to Countdown Morecambe and Wise Forever Episode Air Dates and to stay in touch with Morecambe and Wise Forever next episode Air Date and your others favorite TV Shows. Add the shows you like to a "Watchlist" and let the site take it from there.